COVERING THE NORTH EAST DISTANCE NO OBJECT ALSO COVERING THE TYNE VALLEY, HEXHAM AND NORTHUMBERLAND 50 MILE RADIUS. 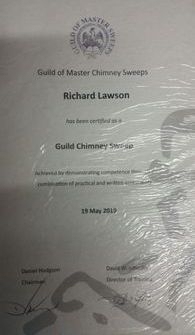 USING BRUSHES TO SWEEP A CHIMNEY IS NOW A THING OF THE PAST ,THANKS TO MODERN TECHNOLOGY.HEXHAM CHIMNEY SWEEPS IS MYSELF [RICHARD] AND MY SON CONNOR ,WE ARE BOTH GUILD REGISTERED CHIMNEY SWEEPS AND BOTH QUALIFIED POWER SWEEPERS [SNAPLOK], CHECKOUT OUR CERTIFICATES ON THIS WEBSITE .TO AVOID THE LONG WAIT,ITS BEST TO BOOK IN BETWEEN MAY AND JULY,WHEN YOU HAVE STOPPED USING YOUR APPLIANCE,WHEN THIS IS THE QUIETEST TIME FOR SWEEPS,AND THIS MEANS YOUR APPLIANCE IS READY FOR THE COMING WINTER.THEIR IS A PERCEPTION THAT CHIMNEY SWEEPS STILL CHARGE £15 TO £25 TO SWEEP A CHIMNEY.CHIMNEY SWEEPING IS AN IMPORTANT JOB FROM A SAFETY POINT OF VIEW TO PREVENT CHIMNEY FIRES AND CARBON MONOXIDE POISOINING, THE AVERAGE PRICE AMONG CHIMNEY SWEEPS IS NOW £50,ESPECIALLY IF YOUR A PROFESSIONAL CHIMNEY SWEEP [CERTIFICATION].MOST LEADING LINER MANUFACTURERS SUCH AS SCHEIDEL AND POUJOLET, SPECFLUE ETC,ENDORSE POWER SWEEPING ON THERE LINERS. JACKDAW NESTING SEASON STARTS [1ST MARCH-31ST AUGUST] YOU SHOULD MAKE SURE YOUR CHIMNEY IS PROTECTED WITH A STURDY BIRDGUARD [NOT A CHEAP ONE THAT THE JACKDAWS CAN ATTACK OR PULL OUT THE POT],IF WE COME OUT AND THERE ARE EGGS IN THE NEST,I WONT BE ABLE TO TAKE OUT YOUR NEST,IN 6 WEEKS I WILL COME BACK WHEN THEY HAVE FLOWN THE NEST,[NESTING JACKDAWS ARE PROTECTED BY LAW].A LOT OF CUSTOMERS WILL SAY I HAVE NOT HAD THAT CHIMNEY SWEPT FOR 2 OR 3 OR 4 OR 5 YEARS BECAUSE I ONLY OCCASIONLY USE IT,THE PROBLEM IS ALL THE YEARS ACCUMULTION BRINGS DOWN A LOT OF SOOT AND YOU ALSO RISK A CHIMNEY FIRE,IF YOUR USING IT OCCASIONLY IT SHOULD BE SWEPT YEARLY, DONT NEGLECT YOUR CHIMNEY ,MAKE SURE YOUR APPLIANCES ARE SWEPT AT LEAST ONCE A YEAR. 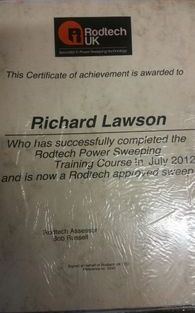 [HI MY NAME IS RICHARD LAWSON,THE HEXHAM CHIMNEY SWEEP,AND THIS MY WEBSITE,I AM THE LOCAL SWEEP FOR ALL THESE AREAS.MY TELEPHONE NUMBER IS 07858392934. 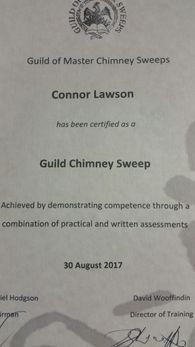 I AM NOT CONNECTED TO ANY OTHER CHIMNEY SWEEPING COMPANY.THIS IS MY OWN BUISNESS AND I AM A SOLE TRADER,SO WHEN YOU RING OR TEXT ,YOU COME DIRECT TO ME. 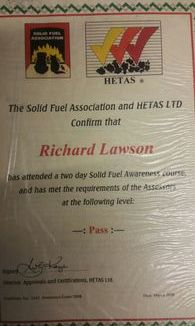 WITH SOLID FUEL ON THE INCREASE AND SO MANY STOVE INSTALLATIONS,BEING A HETAS REGISTERED SWEEP,MEANS YOUR TRAINED TO SPOT POOR INSTALLATIONS OR DANGEROUS INSTALLATIONS, LIKE LEAKING CHIMNEYS ETC.SO THE TRAINED SWEEP VIRTUALLY ACTS A FIRE SAFETY OFFICER AND NOT JUST A BRUSH MAN. I AM A LICENCED LOW TIER WASTE CARRIER, MY REGISTERED NUMBER IS 10179.ALL SOOT TAKEN AWAY. 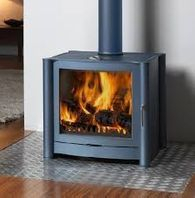 DUE TO THE INCREASE IN SOLID FUEL APPLIANCES[STOVES ETC.] AND HOUSEHOLDERS REOPENING FIREPLACES THAT WERE CLOSED OFF YEARS AGO.. PAYMENT ,BY CASH OR CHEQUE ON COMPLETION OF THE SWEEP,.YOU ARE ISSUED ON THE DAY WITH YOUR CERTIFICATE AND INVOICE ,SORRY I DONT WORK ON THIRTY DAY TERMS. THE PRICES YOU SEE ON THIS WEBSITE ARE THE PRICES YOU PAY,THEIR ARE NO HIDDEN COSTS. 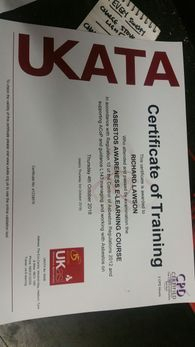 IF YOUR AREA IS NOT ON THE LIST BELOW, AND YOU LIVE CLOSE TO ANY OF THE AREAS BELOW,ITS WORTH RINGING ME AS I WILL MORE THAN LIKELY BE ABLE TO SWEEP YOUR PROPERTY,ITS I CANT GET EVERY AREA ON MY WEBSITE.POWER SWEEPING IS NOW THE MODERN WAY OF SWEEPING CHIMNEYS,AND NORMALLY TAKES APPROX 30MINS TO SWEEP A CHIMNEY,THIS IS WHY I ONLY CHARGE £50 TO SWEEP A CHIMNEY. WE ARE STILL ONE OF THE CHEAPEST QUALIFIED SWEEPS AROUND..THESE PRICES INCLUDE NEST REMOVAL.,BECAUSE I CAN SWEEP MORE CHIMNEYS IN ONE DAY WITH POWER SWEEPING,,SO I CAN PASS THIS SAVING ONTO THE CUSTOMER. 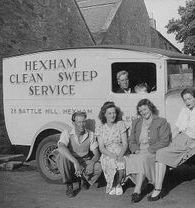 THE APPOINTMENT TIME YOU ARE GIVEN FOR YOUR CHIMNEY SWEPT IS AN APPROXIMATION,CAN YOU PLEASE BE IN HALF AN HOUR BEFORE YOUR APPOINTMENT TIME, AS WE SOMETIMES ARRIVE EARLY. . I PREFER LINERS,POWER SWEEPING IS JUST A SMALL WHIPHEAD WITH REALLY FLEXIBLE RODS ,I CAN SWEEP A LINER IN 20 MINS WITH THIS METHOD,AND THERE IS ZERO SURFACE TENSION. WHEN THERE IS DAMAGE TO LINERS, THIS IS NOT CAUSED BY THE SWEEPING METHOD [BRUSH OR POWER SWEEPING],IT CAN BE CAUSED BY SEVERAL REASONS BEING , THE LINER FITTED UPSIDE DOWN. ALSO NO RAINCAP FITTED WHEN A LINER IS INSTALLED ,PROTECTING IT FROM THE RAIN WHICH CAUSES CORROSION IN THE LINER [MAINLY AT THE TOP]. ALSO THE WRONG GRADE OF LINER FITTED AND THE CUSTOMER BURNING SMOKELESS FUELS ON THE WEAKER GRADE ,WHICH ISNT ALLOWED[ LACK OF ADVICE GIVEN TO CUSTOMER],AS THE SULPHUR IN THE OVOIDS CORRODES THE LINER RAPIDLY, CUSTOMERS CAN BE QUICK TO BLAME A SWEEP FOR A CORRODING LINER, BUT ITS MOST TIMES ONE OF THE ABOVE. 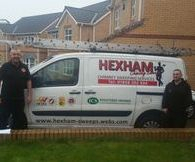 ALSO HOME INSTALLATIONS MAINLY BY THE HOUSEHOLDER,AND ARE NOT SIGNED OFF [DO NOT COMPLY WITH YOUR BUILDINGS INSURANCE] , AND NEARLY ALWAYS NOT INSTALLED TO BUILDING REGULATIONS, ALSO FITTING KOPEX LINERS[GAS] TO SOLID FUEL APPLIANCES IS ANOTHER ONE WE COME ACCROSS REGULARLY. BEFORE POWER SWEEPING BECAME KNOWN IN CHIMNEY SWEEPING CIRCLES,AND WAS IN ITS INFANCY,AND WAS BEING TESTED WITH PROTOTYPES,I WENT DOWN TO NORFOLK IN 2008-2009,TO LEARN POWER SWEEPING WITH RODTECH FOUNDER,BOB RUSSELL AND WAS THERE FOR TWO DAYS ,SWEEPING CHIMNEYS IN NORFOLK,I THEN CAME HOME AND WAS USING THE PROTOTYPES TO SWEEP CHIMNEYS IN NORTHUMBERLAND,BOB THEN MASTERED IT AND FOUND THE NEW CLICK ROD SYSTEM AND WHIPHEADS ETC,WHICH I THEN PURCHASED MYSELF AND BROUGHT THE POWER SWEEPING SYSTEM TO NORTH EAST ENGLAND IN 2010,AND HAVE USED IT EVER SINCE,AND I HAVE NEVER USED THE TRADITIONAL BRUSH SYSTEM SINCE,WHICH I STILL POSSESS. 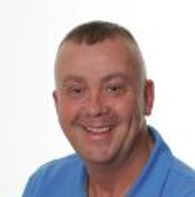 FOR A QUICK AND CLEAN EFFICIENT SERVICE,CALL RICHARD ON 07858392934. BEES NESTS= WHEN PEOPLE HAVE BEES NESTS IN CHIMNEYS,ONCE THEY HAVE BEEN DESTROYED,THE NEST CANNOT BE REMOVED BY A CHIMNEY SWEEP.THIS IS NORMALLY REMOVED BY THE PEST CONTROLLER,FROM THE TOP ,AS MOST BEES NESTS ARE JUST DOWN BELOW THE POT.THE CHIMNEY IS NORMALLY SATURATED WITH HONEY,TELL TALE SIGNS ARE, POOLS OF HONEY AT THE BASE OF YOUR FIRE,THIS IS A FLAMMABLE SUBSTANCE AND CANNOT BE REMOVED BY SWEEPING THE CHIMNEY,AS YOUR RODS ETC ARE COATED WITH STICKY HONEY,AND VERY HARD TO REMOVE,[SPEAKING FROM EXPIERIENCE,].BEES NESTS ARE NORMALLY THEN TAKEN OVER BY WASPS,SO TRYING TO REMOVE A NEST BY SWEEPING,CAN BE DANGEROUS,DUE TO HUNDREDS OF ANGRY WASPS.